Reversing the two-month trend, the GST (Goods and Services Tax) revenue collection for December has gathered momentum by registering around Rs 6,000 crore growth as compared to the November collection. Reversing the two-month trend, the GST (Goods and Services Tax) revenue collection for December has gathered momentum by registering around Rs 6,000 crore growth as compared to the November collection. The total collection for the month of December - received till January 24 - is Rs 86,706 crore. Though the GST Council headed by Finance Minister Arun Jaitley on January 19 cut the tax rate on 29 goods and 54 categories of services, its effect on the overall the GST revenue would be known in next month data. "Total revenue Collections under GST for the month of December 2017 (received in December 2017/January up to January 24, 2018) has been Rs 86,703 crores till January 24 2018," the Ministry of Finance said in a tweet. The ministry said one crore taxpayers have registered under the GST till January 24, of which 17.11 lakh are composition dealers which are required to file returns every quarter. A total of 8.10 lakh returns were filed by the composition dealers paying a total of Rs 335.86 crore as the GST. For the composition dealers, the last date of filing GSTR 4 Return for July-September (quarter) 2017 was December 24. As many as 56.30 lakh GSTR 3B returns have been filed for December till January 24, added the ministry. For the October-December (2017) quarter, the last date for filing GSTR 4 Return was January 18, 2018. A total of 9.25 lakh returns were filed by Composition Dealers for this quarter paying a sum of Rs 421.35 crore as the GST, the ministry said. The government had attributed the downward trend in the GST tax revenue in the past two months to three factors. 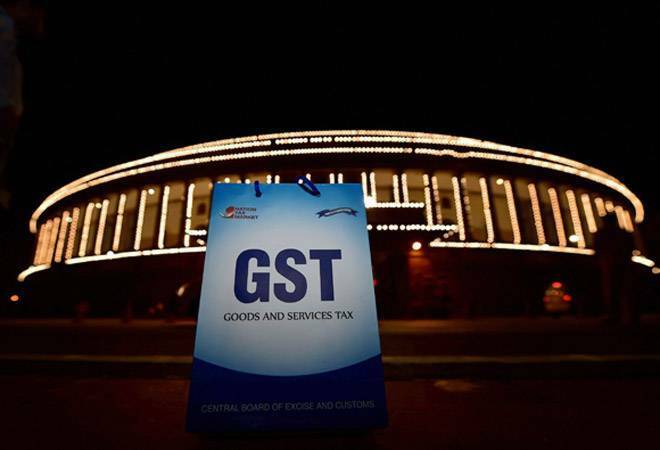 One was that in the first three months, there was an additional flow of the IGST (Integrated Goods and Service Tax) due to the first-time requirement of paying the IGST on transfer of goods from one state to another state even within the same company. As and when the final transaction of these goods takes place, the credit for IGST is being utilized for payment of SGST and CGST and therefore, the inflow of new taxes is low, it explained. Another reason for decline in the GST revenue was the fall in overall incidence of taxes on most of the commodities. Also, the tax administration of the GST is based on self-declared tax returns, in which the assessee decides on his own how much tax liability he has and claims input tax credit as per his own calculations. GST Council member and Bihar Finance Minister Sushil Modi said on January 18 that some dealers were evading taxes by suppressing turnover, which caused a revenue slump under the composition scheme. "We are surprised to find out that the total revenue collected was just Rs 310 crore in the past two months, despite 7.5 lakh composition dealers having filed returns," he said, adding that this decline meant the composition dealers were evading taxes. Under the composition scheme, tax payers with a turnover of up to Rs 1.5 crore have the option of paying a minimal rate of tax and filing a simplified tax return. The GST collection numbers for the month of November, received till December 25, was Rs 80,808 crore. A sum of Rs 83,346 crore was collected as the total revenue collection under the GST for October, received during November. The revenue collected under GST during October for September was Rs 95,131 crore, while the corresponding figure for August was of Rs 93,141 crore.